Pizza giant Domino’s is getting into connected cars. In a deal with Xevo, the in-vehicle commerce service for carmakers, Domino’s is launching the latest AnyWare pizza ordering platform to come pre-loaded in cars starting later this year. 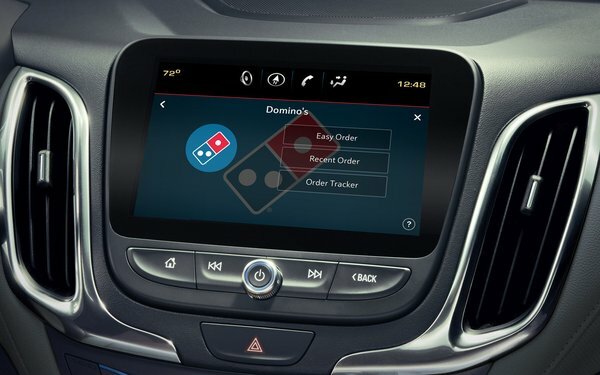 The pizza ordering feature will be automatically loaded in millions of cars with the Xevo connected car platform, which comes in new cars including Chevrolet, Buick, GMC, Toyota and Cadillac. A tap on the vehicle’s touchscreen can start a pizza order, which then can be tracked with the Domino’s Tracker. Drivers also could locate a local store and call in an order via the in-car interface. "At Domino's, we want pizza ordering to be simple and always within reach, no matter where a customer happens to be," states Chris Roeser, director of digital experience at Domino's. "This platform will make ordering pizza easy, whether you're in the car waiting for the kids to finish soccer practice or on your way home from work." This is yet another feature coming in connected cars. Connected cars, along with services such as these, will come along well before autonomous or self-driving vehicles. 2 comments about "Domino's Adds In-Car Pizza Ordering". R MARK REASBECK from www.USAonly.US , March 25, 2019 at 7:57 p.m.
fast enough to order a pizza? From a company who wants to deliver it to your house in a "gro-cart", (unmanned vehicle), that you will still have to step out of the comfort of your dwelling, and get it out of the Gro-cart anyway. This is "Genius" , MR Roeser, "director of digital EXPERIENCE" Hey it's a Friggin $7.00 pizza.................the only "experience" I want requires chewing and swallowing. This tech industry is like Taco Bell, always trying to figure how to trick us with a new gimmick, but when it's all said and done it's still just a tortilla, meat, beans and cheese. Taco re-do. Chuck Martin from Chuck Martin, March 25, 2019 at 7:59 p.m.